Celebrity Writer and New York Times Best-Selling YA Author Margaret Stohl Relaunches Marvel Comic Series. Marvel Comics is proud to present Carol Danvers, a.k.a. Captain Marvel as she takes on her new mantle as the most well-known Super Hero within the Marvel Universe! 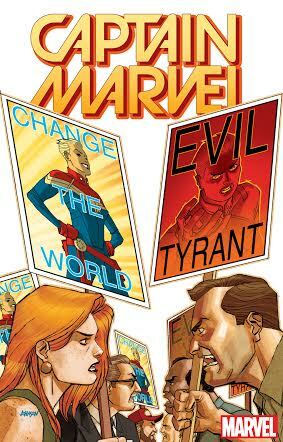 As the ashes of Civil War II settle, Captain Marvel must come to terms with her new superstar status-quo, but notoriety doesn’t necessarily mean she’s well liked. Thrust into the spotlight, Carol has come to realize that often times, popularity and pain come hand in hand.